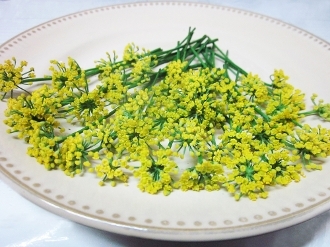 Sweet & strong anise flavored, tiny yellow flowers with bright green stems. Aromatic Licorice fragrance. Pairs fabuloulsy with all types of fish. Makes a great addition to lamb dishes.